Arson/Bomb Squad detectives are investigating a fatal house fire that occurred on February 13, 2014 at 4:20 am in Locust Valley. Locust Valley, NY - February 13th, 2014 - Arson/Bomb Squad detectives are investigating a fatal house fire that occurred on February 13, 2014 at 4:20 am in Locust Valley. According to detectives, the homeowners of a Lattingtown Road residence awoke to the smell of smoke and observed that a cottage, which is located on the same residential property and connected to the main home, was on fire. After several unsuccessful attempts to gain entry into the cottage by the homeowners, due to the smoke and heat, 911 was contacted. The Locust Valley Fire Department, assisted by eleven other area fire departments, with a total of seventeen pieces of fire apparatus and 75 firefighters, were able to extinguish the blaze which spread into the main area of the residence. During the incident, one police officer and three firefighters were injured and transported to area hospitals for treatment. They were all treated and released for minor incident related injuries. 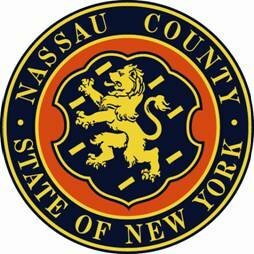 The Nassau County Fire Marshall and the Arson/Bomb Squad recovered the body of a female, believed to be the homeowners’ daughter. The identity of the victim is being withheld pending an investigation by the Medical Examiners Office. The cause of the fire does not appear to be suspicious at this time and the investigation into this incident continues. Subject: LongIsland.com - Your Name sent you Article details of "NCPD Arson/Bomb Squad: Fatal Locust Valley House Fire Under Investigation"